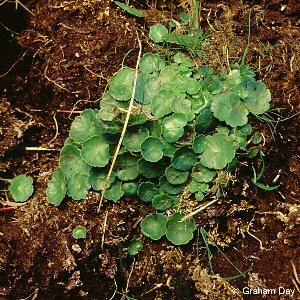 The common name arises from the circular leaves which sit on top of the short stalks. The flowers are tiny and inconspicuous. Very common in wet marshy places. 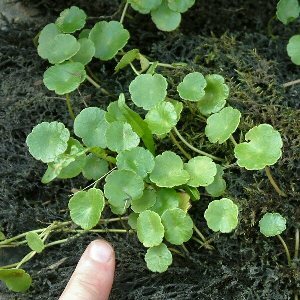 All names: Hydrocotyle vulgaris L.